Get to Know Women Who Shaped U.S. History at These Inspiring Sites. By Michele Herrmann, April 2019. Read article here. 6 Rock Climbing Destinations Worth Planning a Vacation Around. By Emma Sarran Webster. March 2019. Read here. "In Praise of Pioneer Women and Rocket Scientists." Sebastian Modak for NYT. March 2019. Read article here. 50 States of Fun Festivals." Meredith Rosenberg for the Travel Channel. February 2019. Read Here. "50 Most Romantic Hotels in Every State." Reader&apos;s Digest. February 2019. Read here. "9 Vacation Spots You Can Actually Afford in 2019." Kitty Baen Yancey for AARP. February 2019. Read here. "52 Places to go in 2019." New York Times, January 2019. Read Here. "A Safari of Learning Through one of America’s Last Frontiers." By Elyse Glickman, Wherever Family. Nov. 2018. Read here. "Seven Ways Wyoming Will Surprise You." By Jocelyn Pride, Vacations & Travel. August 2018. Read here. "3-Day Guide to Wyoming&apos;s Southeast Corner." By Marissa Sutera, Little Things Travel Blog. October 2018. Read here. "How Wyoming&apos;s unlikely craft craft beer and liquor boom is rekindling a state’s entrepreneurial spirit." By Samuel Western, The New Food Economy. October 2018. Read here. "Under the Radar USA: Cheyenne, Wyoming, Gateway to the Parks." Adventures by Daddy, Dave Parfitt. Sep. 2018. Read here. "Where to go in Wyoming That&apos;s Not Yellowstone." By Josh Berman, The Know Outdoors: Denver Post. August 2018. Read article. “5 Amazing Travel Experiences For Kids.” By Linnea Covington, Forbes Travel. August 2018. Read article. "The Most Unique Hotels in all 50 States." By Aly Walansky, Orbitz Travel. August 2018. Read article. “Where to See Bison on the Range.” By Lynn O&apos;Rourke Hayes, Family Travel. August 2018. "A Visit To Cheyenne Won’t Disappoint if You’re Seeking The Wild West in All Its Glory." By Patti Nickel, Lexington Herald Leader. August 2018. "Amazing Winter Holiday Trips to Book Now." By Wendy Altschuler, Red Tricycle. August 2018. "6 Place to Drink in Cheyenne." By TravelPulse. July 2018. Read article. "Seven Things to do in Cheyenne." By Allison Ramirez. July 2018. Read article. "A Perfect Day Trip from Estes Park." By Sara B, Travel With Sara. July 2018. Read article. "Cheyenne Frontier Days – A Community Celebration of the West." By Dave Parfitt. July 2018. Read article. "High-End Cheyenne." Class Magazine, Elaine & Scott Harris. July 2018. Read article. "Southern Wyoming Elevates Dining and Drinking as Aspiring Entrepreneurs Brave a New Culinary Frontier." By Cuisineist. June 2018. Read article. "19 Mind-Blowing Overnight Stays You Should Book Now." By Wendy Atlschuler, Family Travel. June 2018. Read article. "My Top Ten Recommendations for Summer Travel." By Sara B, Travel with Sara. June 2018. Read article. "Ronnie Dunn Shoots Cheyenne Frontier Days." By Ronnie Dunn, Cowboys and Indians. June 2018. Read article. "Seven Things to do in Cheyenne." By Liza Weisstuch, Budget Travel. June 2018. Read article. "Terry Bison Ranch: Where the Deer and the Camels Play." By Heiditown.com. May 2018. Read article. "A Local’s Perspective on Why Cheyenne, Wyoming, Deserves to Be Your Next Budget-Friendly Destination." By Adam West. May 2018. Read article. "A Lavishly Masculine Bed & Breakfast in Cheyenne, Wyoming." By Heiditown.com. May 2018. Read article. "Cheyenne Ranked 5th in Top Best to Start a Small Business." By Adam McCann. April 2018. Read article. "So You Think You Know Cheyenne." Wheels- Berthoud Weekly Surveyor. March 2018. Read article. "25 Best Places to Visit in Wyoming." By Forbes Magazine. March 2018. Read article. "Best Cities to Start a Business." By Meredith Caston. March 2018. Read article. "Wild for Wyoming." By Scott Schiller. March 2018. Read article. "Go West for Romance." By Jessica Lollino. February 2018. Read article. "Surprised by Little America." By Heiditown.com February 2018. Read article. "50 Best Light Displays in America." By Jeff Rindskopf. December 2017. Read article. "The Holiday Lights Tour in this Wyoming town was named the best in the state and you won’t want to miss it.” By Lisa Jensen. December 2017. Read article. "The Least Populated State is Weird, and That&apos;s Exactly Why You Should Go." By Ryan Boyd. October 2017. Read article. "The All-American Bucket List: 50 Iconic Adventures for Each of the 50 States." By Juliana LaBianca. October 2017. Read article. "3 geeky getaways to indulge your inner Sheldon Cooper." By Chris Bunting. New York Post, October 2017. Read article. "Haunted Weekend Destinations." Lydia&apos;s Style Magazine. September 2017. Read article. "Top 5 Reasons Houstonians Can Still Make Cheyenne." By Jeanne Lyons Davis. Houstonia Mag, August 2017. Read article. A Jolly Trolley Ride in Cheyenne: History, Hauntings & Hilarity. By Heidi Kerr-Schlaefer. HeidiTown Blog, August 2017. Read article. “America the Unique: Celebrating Our True National Treasures.” By Kathleen Mccleary. Parade Magazine, July 2017. Read article here. 9 Fun Things to do with Kids in Cheyenne, WY. By Diana Rowe. July 2017. Read article. "Travel The Wild West in Wyoming." By Adrienne Jordan. AM New York, May 2017. Read article here. "Nagle Warren Mansion Reflects Wyoming’s Rich History." By Claudia Carbone, Go World Travel. December 2017. Read article here. "The Life And Times Of Chris Ledoux." By Vacations Made Easy. November 11, 2017. Read article here. "11 Best Tea Houses in the World." By Adrienne Jordan. February 2017. Read article. "19 Best Things To Do In Cheyenne, Wyoming." By Vacation Ideas Staff. September 21, 2016. Read article here. "City Tours and Pub Crawls with Pokémon GO." By Lynn Coulter. August 2016. Read the article here. "The Pokémon GO Craze Has Struck the Travel Industry.” By Mia Taylor. August 14, 2016. Read article here. "Life As A Human." By Mark Edward Harris. August 5, 2016. Read article here. “Wyoming Cowboy Charm: Fairfield Inn and Suites Downtown Cheyenne.” By Diana Rowe. August 3, 2016. Read article here. "Beyond The Daddy of &apos;Em All; 10 Ways to see Cheyenne, Wyo., in the "Off-Season." By G.R. Schiavino. July 2016. Read article here. “Horsing Around. History Meets the Wild West at the 120th Cheyenne Frontier Days.” By Diana Lambdin Meyer. July 1, 2016. Read article here. "Photos: The Best Of Cheyenne Frontier Days." By Ronald C. Modra. July 30, 2016. See photos here. "The Cowboy Grand Prix." By Kerrick James. June, 2016. Read article here. “8 All-American Drives With Google Maps.” By Karen Cicero. June 28, 2016. Read article here. "The 29 Can&apos;t-Miss Summer Festivals of 2016." By Jennifer Billock, Jennifer Nalewicki, and Kate Parham. June 7, 2016. Read article here. “Escape From New York.” By Michelle Herrmann. June 1, 2016. Read article here. "There’s Only One Time to See Two “Big Boy” Locomotives at Cheyenne’s Depot Days" By Richard Grant. May 5, 2016. Read article here. “Wyoming Is Turning a Former Cold War Nuclear Missile Site Into a Tourist Attraction.” By Jennifer Nalewicki. February 8, 2016. Read article here. "Quick Hits | Experience Laramie County, Wyoming." By Cameron Martindell. December 3, 2015 Read article here. "Great Getaways: Cheyenne, Wyoming." Budget Travel. By Michele Herrmann. September 14, 2015. Read article here. "Seeing the Frontier in Cheyenne." Jetset Extra. By Michele Herrmann. September 14, 2015. Read article here. "A Wild West Weekend in Cheyenne, Wyoming." The Huffington Post. By Rich Grant. August 3, 2015. Read article here. "Get Your Cowboy On." Colorado Parent. By Deborah Mock. August 2015. Read article here. "The Daddy of &apos;Em All: Cheyenne Frontier Days Rodeo" Travel Channel. By Valerie Conners. July 29, 2015. Read article here. "The 1 Location in America Every Millennial Needs to Visit." Popsugar. By Macy Williams. July 27, 2015. Read article here. "Live the Legend: Cheyenne" Travelmag. By Davina Van Buren. July 1, 2015. Read article here. "The LARGEST Outdoor Rodeo and Western Festival" Peaks & Plains. By Kristin Conard. June 2015. Read article here. "14 Great Southern Restaurants that Aren&apos;t in the South" Sherman&apos;s Travel Blog. By Aly Walansky. June 29, 2015. Read article here. "A Perfect Day in Cheyenne!" Sunset-Travel. By Davina van Buren. June 17, 2015. Read article here. "Drop Everything! 8 Girlfriend Getaways You Need NOW" Budget travel-Vacation Ideas. By Kaeli Conforti. Apr. 17, 2015. Read article here. "My Top 10 Adult Spring Break Destinations in America Revealed." World Property Journal: Vacation News>>Great Destinations. By Steve Winston. Apr. 13, 2015. Read article here. "25 Best Botanical Gardens to Visit on Your Romantic Weekend Getaway." VacationIdea Dream Vacation Magazine by VacationIdea Staff, Mar 30, 2015. Read article here. "Worlds Most Unique Dining Experience -Lunch Train Dining at Terry Bison Ranch." Fodor&apos;s Travel, March 20, 2015. Read article here. "Depot Days," Cowboys & Indians by Jesse Hughey, March, 2015. Read article here. "Forever West in Cheyenne, Wyoming," Perceptive Travel Blog, by Sheila Scarborough, February 19, 2015. Read the article here. 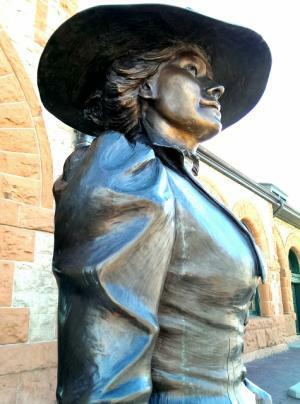 "Outside of the depot is a statue of a sturdy-looking pioneer woman, acknowledging the difficulties of being a 19th century female in that unforgiving area ..."
"Wyoming&apos;s Curt Gowdy State Park," Via Magazine, by Julie Hagy, September/October 2014. Click here to read the article. "The Tamer Side of the Wild West," Chicago Parent, by Liz DeCarlo, Fall 2014. Read the article here. "The Thrifty Traveler: Cheyenne charms on the cheap," The Chicago Tribune, by Myscha Theriault, Aug 11, 2014. Read the article here. This story was picked up by several other news services, including News Observer, The Sacramento Bee, World News Report, Carroll County Times, The Bellingham Herald, The Telegraph and Myrtle Beach Online. "10 British Things About Cheyenne, WY," BBC America, by Brigid Brown, August 8, 2014. Read the article here. "Wyoming: Cheyenne&apos;s Frontier Days Bring the Old West," Epoch Times, by Cindy Bigras, August 6, 2014. Read the article here. "Wyoming itinerary: Saddle up for a tour of the American West in Cheyenne," Group Tour Magazine, August 1, 2014. Read the article here. "Cowboy Up: Experience Cheyenne During its Historic Frontier Days," Austin Monthly, by Ramona Flume, July 31, 2014. Read the article here. "Vedauwoo: Different World Close to Fort Collins," Coloradoan, by Dawn Wilson, July 31, 2014. Read the article here. 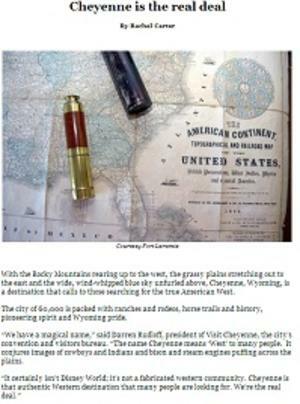 "The Rambler&apos;s Guide to Cheyenne: The West Is Still Wild in Wyoming&apos;s Capital City," The Last Word Luchchese Culture, by Ramona Flume, July 31, 2014. Read the article here. "Cowgirl in Training," Girl Will Travel, by Misty Milioto, July 25, 2014. Read the article here. "Getting Roped Up in the Cheyenne Frontier Days Rodeo," Travel Tips & News, by Diana Lambdin Meyer, July 8, 2014. Read the article here. This is about as true of a western experience as anyone can have in the 21st century. These people are real cowboys and their fans are serious about the business. "Stay In-State To Save," Money Magazine, July 2014. Read the article here. "Saddle up for a tour of the American West in Cheyenne," Group Tour Western, July 2014. Read the article here. 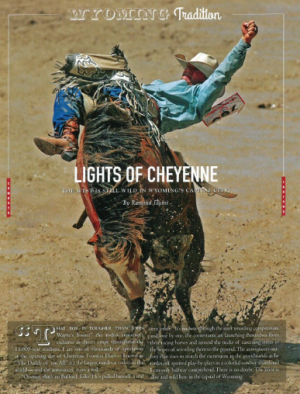 "Lights of Cheyenne: The West Is Still Wild in Wyoming&apos;s Capital City,"Cowboys & Indians Magazine, by Ramona Flume, July 2014. Read the article here. Cheyenne has attracted steel-willed trailblazers for generations-people who yearn for wide-open spaces and the freedom that comes from living amid a rugged American frontier. "The Reverend And The Rodeo," Cowboys & Indians Magazine, by Ramona Flume, July 2014. Read the article here. "Riding on the Range," Mountain Online, by Olivia Dwyer, June 18, 2014. Read the article here. "Turn Over a New Leaf! Ideas for Arbor Day Fun: Inspiring Quotes & Photos" Parade Magazine, by Laura Manske, April 25, 2014. Read the article here (Cheyenne is Number 10 in the Gallery. 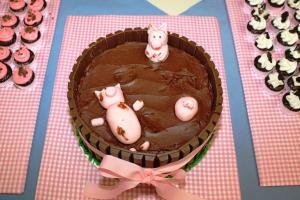 "Chocolate Indulgence - Eat Well and Do Good," Sugar Loco, by Julie Bielenberg, April 21, 2014. Read the article here. Chocolate Indulgence is ... "a great opportunity to taste some delicious sweets and be charitable all in one!" "Cheyenne, Wyo. : Spirited Weekender," AAA Via, by Chris Woolston, Spring 2014. Read the article here (to view, enter the Zip Code "95201." "Wyoming’s capital city truly hits its stride in more sedate settings: gardens, restaurants, parks, and more museums than anyone could possibly visit in a day." "3 Days in Cheyenne, Wyo.," American Cowboy. by Elizabeth Putfark, April/May 2014. Read the article here. "5 Best Places to Retire in the US," Land Rush Now, by Renee Riker, March 18, 2014. Read the article here. "Travel Spotlight on Cheyenne and Its 14 Best Attractions," Hopper, by Richard Francis, February 4, 2014. Read the article here. "Family Travel to Laramie & Cheyenne, WY," Family Travel, by Colleen Kelly, December 20, 2013. Click here to view the video and read the supplements. "Cheyenne: Where the Sidewalk Ends and the West Begins," RV America, by Lazelle Jones, December 19, 2013. Click here to read the article. "Cheyenne&apos;s Midnight Ball Drop Highlights New Year&apos;s Eve," Travel Babel, by Claire Walter, December 14, 2013. Click here to read the blog. "Saddled Bull," USA Travel, by Alexey Dmitriev, November 2013. Click here to see PDF. This article is in Russian. To translate, copy text and enter one paragraph at a time into Google Translate. 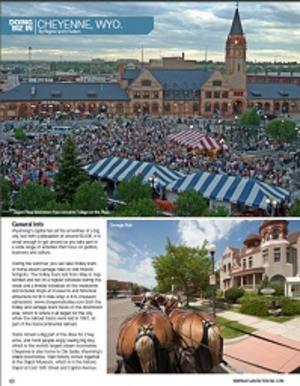 "Cheyenne, Wyoming: The Place to Be," Travel Savvy West, by Lazelle Jones, October 1, 2013. Click here to read. "A Real Western Legend," AAA Home & Away, by Mike Whye, Sept/Oct 2013. Click here to read. "Doing Business In Cheyenne," Atlanta Tribune, by Regina Lynch-Hudson, September 1, 2013. Click here to read. "Cheyenne offers a lot of ways to have fun, but the city is also serious about advances in technology. It recently welcomed the National Center for Atmospheric Research&apos;s new facility, the Wyoming Supercomputing Center, which houses the Yellowstone Supercomputer, the world&apos;s fastest for analyzing weather-related data and predicting hurricanes." "Thinkin&apos; Lincoln: Ten Gallon," American Road, by Craig and Liz Larcom with Jillian Gurney, Autumn 2012. Click here to read. "Visit Cheyenne, Wyoming Frontier Days 2013," Carolina Mama, by Malise Terrell, August 10, 2013. Click here to read. "A Day at the Rodeo: Exciting Whether It&apos;s Your 1st or 50th," The Daily Journal, by Mary Lu Laffley, August 10, 2013. Click here to read. "Curt Gowdy State Park is a mountain biking mecca that lives up to its reputation," The Denver Post, by Joshua Berman, July 30, 2013. Click here to read. 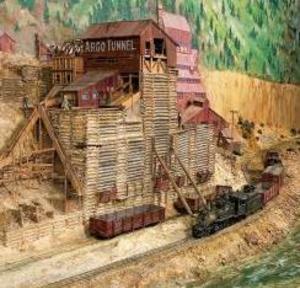 "Cheyenne looks forward to Big Boy arrival," O-Gauge Rail-Roading, July 25, 2013. Click here to read. "Visit Cheyenne - The &apos;Daddy of &apos;Em All&apos; Year Round," Denver Parent, by Mary Frances Main, July 22, 2013. Click here to read. 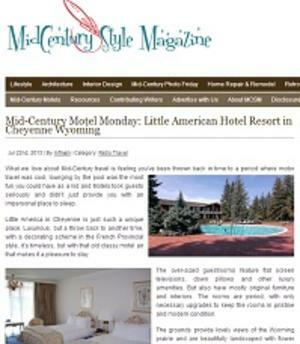 "Mid-Century Motel Monday: Little American Hotel Resort in Cheyenne Wyoming," MidCentury Style Magazine, by Mary Frances Main, July 22, 2013. Click here to read. It also appears here. "Little America is ... timeless, but with that old classy motel air that makes it a pleasure to stay." "July&apos;s #1 Reason to Whoop It up in Wyoming," Huffington Post, by Laura Manske, July 19, 2013. Click here to read. "U.S.A.," Globe-Trotter Travel Handbook, July 8, 2013. 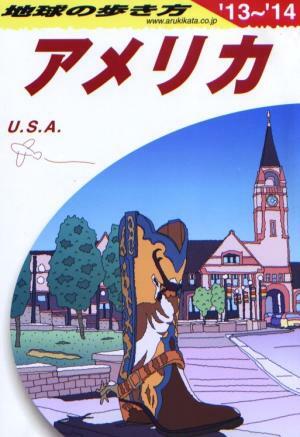 Cheyenne&apos;s Depot was the cover of the U.S.A. travel handbook by Japanese tourist company Arukikata. Click here to see the cover and click here to visit their website (which is only in Japanese). "Cheyenne Frontier Days celebrates culture, heritage of Old West,"Daily Herald, by Katherine Rodeghier, June 30, 2013. Click here to read. "The Wild West," The Father Road, by Jonathan Shipley, June 29, 2013. Click here to see the pictures and click here to read the story. "Southeast Wyoming: Photographing History on the Streets of Cheyenne," Wyoming Roundup, by Joshua Berman, June 12, 2013. Click here to see the pictures or Click here to read the story. Cheyenne Frontier Days Named the Number One Festival of the country&apos;s Top 10 Summer Festivals of 2013. Livability.com. May 3, 2013. Click here to read. "Cheyenne is the real deal," The Group Travel Leader, By Rachel Carter, January 15, 2013. Click here to read. "With the Rocky Mountains rearing up to the west, the grassy plains stretching out to the east and the wide, wind-?whipped blue sky unfurled above, Cheyenne, Wyoming, is a destination that calls to those searching for the true American West." "Cheyenne Shines on New Year&apos;s Eve," Travel Babel, by Claire Walter, January 1, 2013. Click here to read the blog. 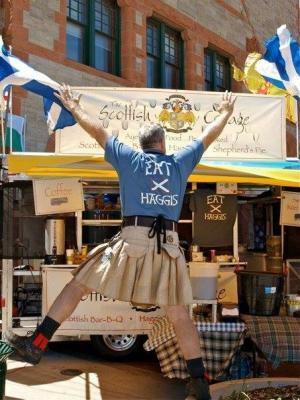 "Cheyenne Frontier Days: More than Rodeo," Real Food Traveler, by Bobbie Hasselbring, RFT Editor, November 29, 2012. Click here to read. "Cheyenne, WY: Birthplace of American Women&apos;s Rights," Real Food Traveler, by Bobbie Hasselbring, RFT Editor,November 29, 2012. Click here to read. "Cheyenne Welcomes Families," Family Travel Forum, by Kyle McCarthy, September 13, 2012. Click here to read. 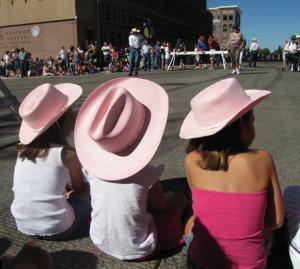 "The Cowboy Life for Me at Cheyenne Frontier Days," Family Travel Forum, September 13, 2012. Click here to read. "Round Up Your Own Western Stories in Cheyenne for Frontier Days and Beyond," Focus Daily News, July 20, 2012. Click here to read. "Why Wyoming? Five reasons to visit Cheyenne," AAA California, May/June 2012. Click here to read. "Cheyenne: Cowboy Up!" Slice, May 2011, Click here to read. "Cowboy UP!" Home & Away, July/August 2011, Click here to read. "Rodeo and railroads call travelers to Cheyenne," The Salt Lake Tribune, July 5, 2011, Click here to read. "Let&apos;s Go Rodeo!" American Cowboy, December/January 2011, Click here to read. "For a Taste of Cowboy Life, Take a Look-See at Cheyenne," Oklahoman, Aug. 30, 2009, Click here to read. "Wyoming day trips: Cheyenne," Sunset Magazine, July 1, 2009, Click here to read. "Le Cheyenne De C.J. Box (Part 1)," Le Monde Magazine, July 30, 2011, Click here to read. "Le Cheyenne De C.J. Box (Part 2)," Le Monde Magazine, July 30, 2011, Click here to read. "Western Allure," Packaged Travel Insider, July/Aug 2011, Click here to read. "Discover All-American Rodeo Food at Cheyenne Frontier Days," The Daily Meal, Aug. 16, 2001, Click here to read.